Welcome to the Doris Padgett Public Library! Welcome to the homepage of the Doris Padgett Public Library in Sunnyvale, TX! All you need is your Library Card Number & PIN! Readable on most computers, mobile devices, or eBook readers. Access over 800 online practice tests and interactive skill-building tutorials to help launch or advance your career --- Prepare for professional certification, licensing, and aptitude tests in civil service, law enforcement, firefighting, EMT, real estate, and healthcare, among others --- Prepare for college and graduate school admissions tests including the SAT, ACT, GMAT, GRE, LSAT, and MCAT --- Successfully prepare for the GED exam when working toward a high school diploma --- Dramatically improve or refresh basic skills in reading, writing, and math. Story Time @ Doris Padgett Public Library!! Story Times for children ages 2 to 5 and their caregivers are held on Wednesday mornings at 11AM. Story times include several books and a fun craft or project to take home! The library can arrange special story times for schools, daycare centers, or other groups upon request. For more information, call 972-226-4491. The Atriuum mobile app gives you instant access to the library's catalog from your favorite mobile device. Search for books, DVDs, CDs and more. Want to know if a new release is available at your library? While you are at your favorite book store, use the scan ISBN feature to capture the ISBN located on the physical item and search the library's collection. CLICK HERE for instructions on how to download and configure Atriuum On-the-Go for Android and iOS devices. Find it Anywhere With WorldCat Mobile! Go to www.worldcat.org/m/ to find and search the world's libraries on the mobile Web. Apps are available for iPhone and Android. 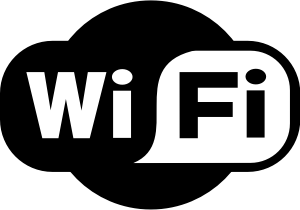 The Library's Wi-Fi network is open to all visitors FREE of charge. No special encryption settings, user names, or passwords are required. Laptop owners are responsible for setting up their equipment to access the wireless network. Library staff are unable to handle customer laptops or peripheral equipment. Our wireless network is not encrypted; information sent to or from your device can be captured by anyone else with a wireless device on the network. Your FREE one stop practice test site for High School, College, Professional and Standardized exams. 4Tests partners with Barrons Education, and features full-length practice exams and tutorials. Test yourself by clicking here. Try these FREE databases filled with magazine articles, encyclopedia entries, and other materials to help you discover more on any subject, from general interest to business, hobbies, genealogy and more. Please see your librarian for a username and password then CLICK HERE. Looking for a job? Try these career resources for FREE! You will find help, information and a schedule of workshops regarding resume preparation, writing cover letters, online application completion, job hunting strategies and interviewing techniques. You will also find links to self-paced tutorials, lists of agencies offering training by region, and much more. We invite you to explore this site which will be constantly updated as information becomes available. Enhance your job skills by clicking here. Libraries for Democracy is dedicated to providing you, the citizens of America, with factual useful information on politics and the important social issues of the day. The purpose is to help all Americans become better informed, more effective citizens. Without your informed participation, America could easily cease to be a democracy. Libraries for Democracy will try to make it interesting, worthwhile, and even fun to be well-informed about politics and social issues. Stay informed by clicking here. The Talking Book Program provides FREE library services to Texans who are unable to read standard print material due to visual, physical or reading disabilities. Items are delivered to your door and and returned by mail free of charge. The program offers more than 80,000 titles in fiction and nonfiction, plus 80 national magazines for adults and children. For information on the program, click here. Can't find the answer you're looking for? Try this FREE help from the Library of Congress. They provide basic research assistance with answers to queries requiring resources unique to the Library of Congress. Responses are usually within 5 business days. Please note that the scope of the services does not include: compilation of extensive bibliographies, requests for information connected with contests, completion of school or work assignments, translations or research in heraldry or family history. Click here for help. Looking for a classic to curl up with? 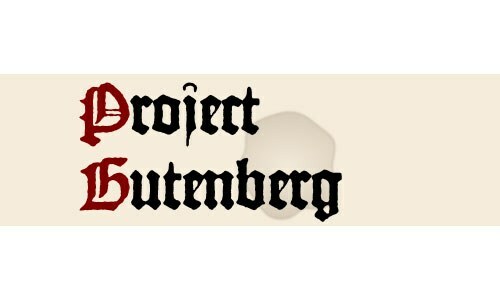 Project Gutenberg offers a huge selection of classic, public domain literary works in formats for almost any computer, e-reader, or portable device, and they don't count against your check-out limits! Click here to begin your search. Registered patrons of the Doris Padgett Public Library can obtain a FREE TexShare Card from the Doris Padgett Public Library and use the card to borrow materials directly from other participating libraries. Patrons must be card holders in good standing (no fines, fees or overdue materials) for at least 6 months and agree to comply with the borrowing policies of both the lending library and the Doris Padgett Public Library.